The Arena Formally Known as BMC has a bidder for naming rights. 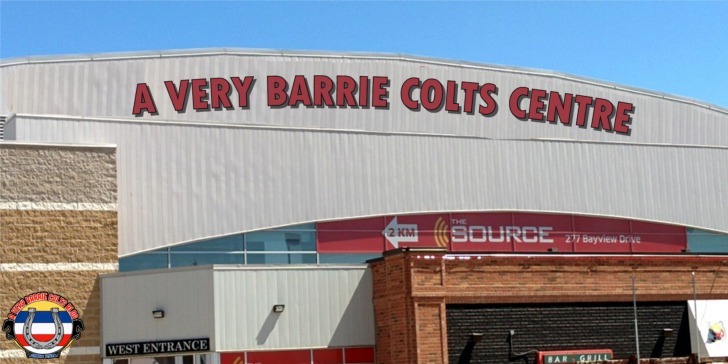 #OHL #Barrie - Very Barrie Colts | A website covering the Barrie Colts of the OHL. As mentioned during last season, Molson Coors announced that they were not looking to renew the naming rights of the Barrie Molson Centre since acquiring them back in 1994. Today, CTV Barrie is reporting that Paul Sadlon Motors Inc. is looking to obtain the rights. It is being said that the agreement would be for 25 years, and would cost the company $2 million total. CTV says that the payments would be made over 20 years; costing $100,000 a year. So, it looks like the deal is pay for 20 years and get 5 years free? If this is approved, there will be a vote held by Barrie city council on June 18th for the deciding vote. What are your thoughts on the possible new name of BMC? If you don't like it, maybe donate $2 million to the blog and we can give it the name we pitched when the news came about the naming rights. Click here to see original CTV post.